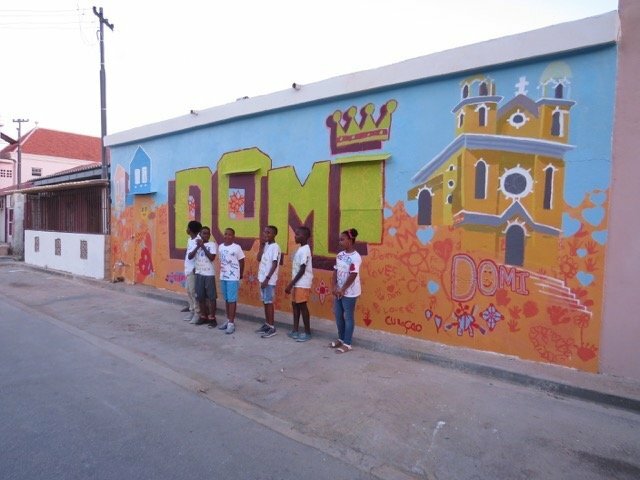 Garrick Marchena creates mural in Domi Abou and guides workshop with youngsters from the neighborhood. 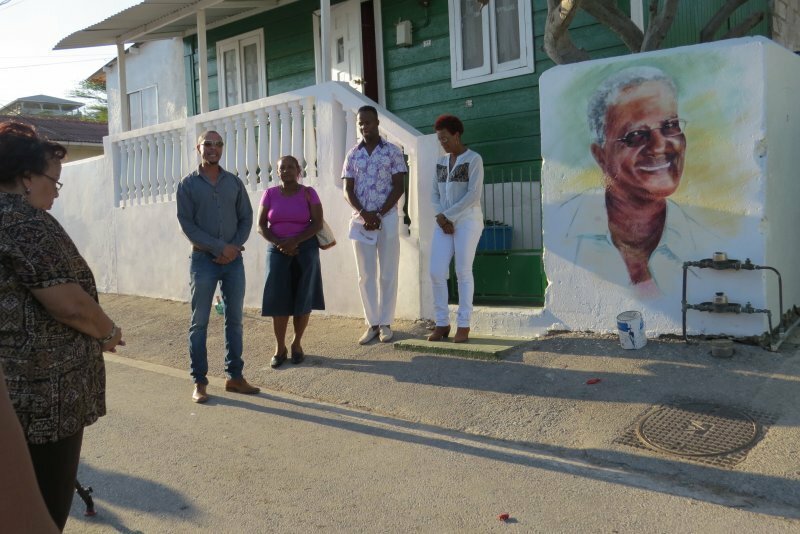 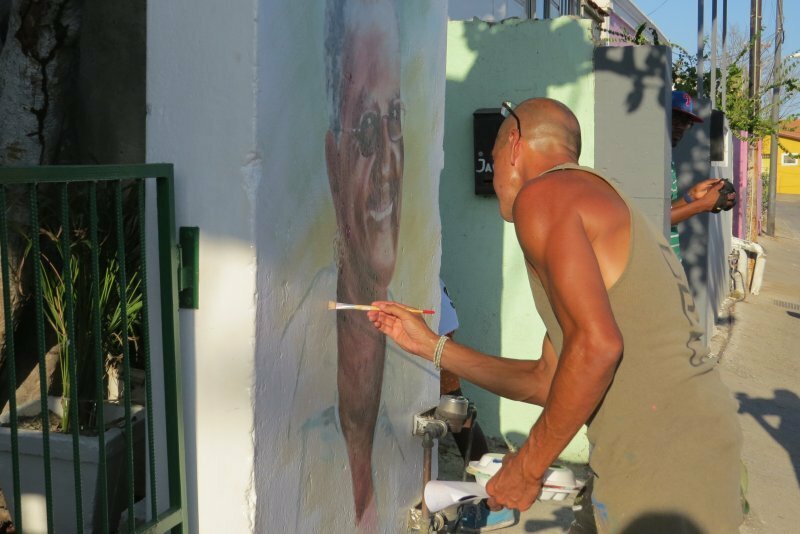 Garrick Marchena is well known in Curaçao for his murals. 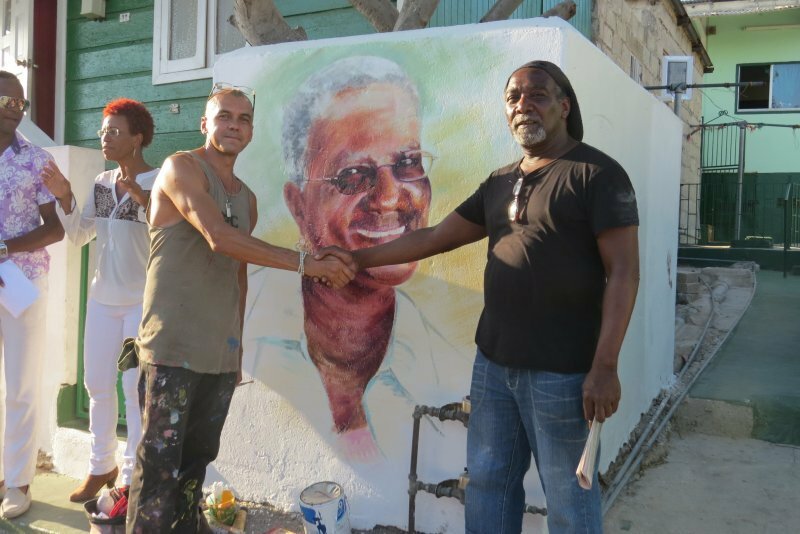 Large paintings, appearing unexpectedly on buildings in Willemstad or elsewhere on the island. 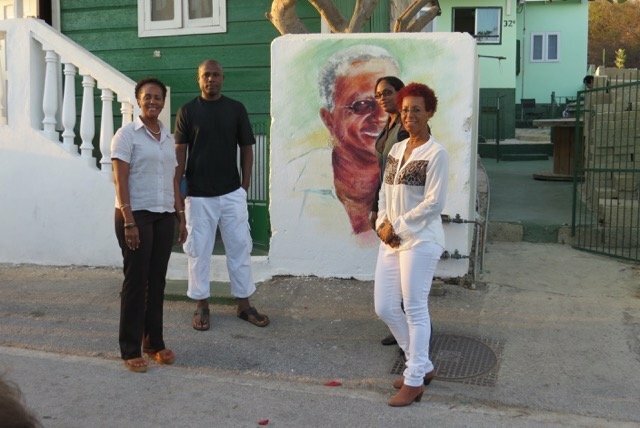 His murals appear on neglected walls of partly constructed buildings or left over walls from dismantled houses. 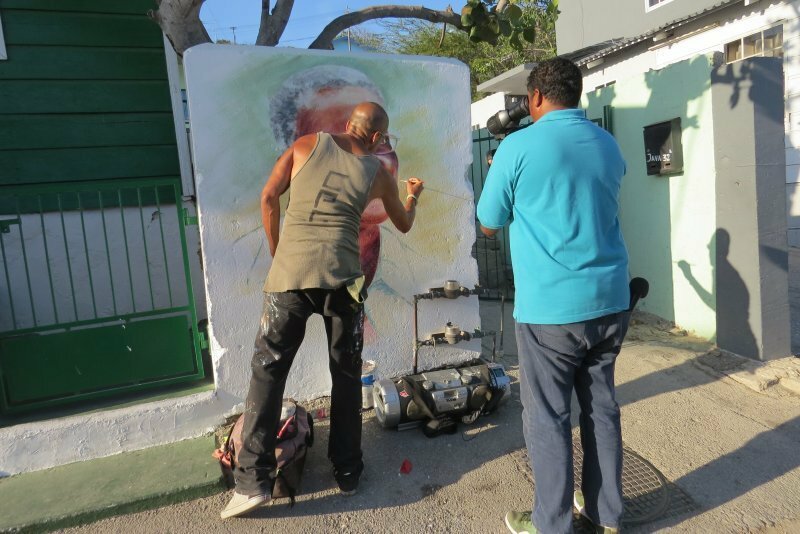 The public loves and enjoys the murals he creates for they beautify the locations he chooses. 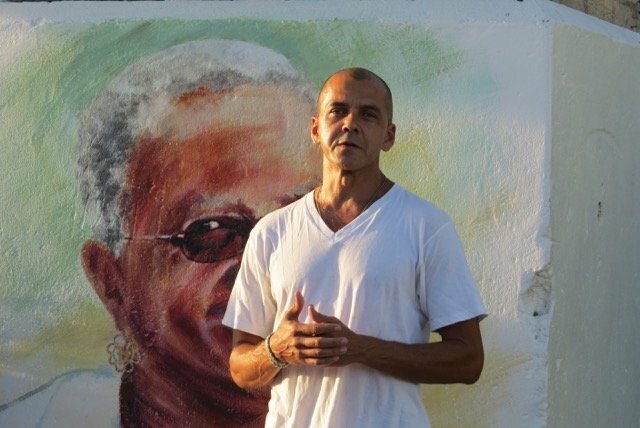 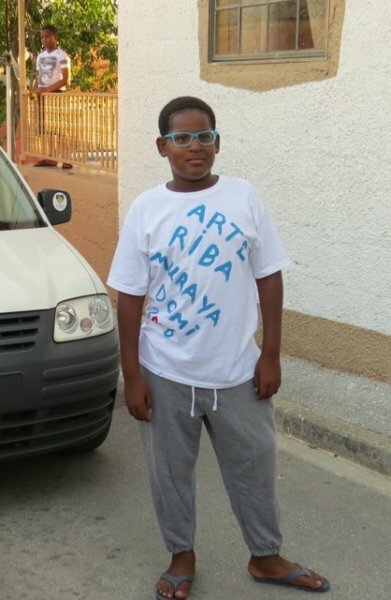 Next to his own spontaneous street art he also receives commissions for murals. 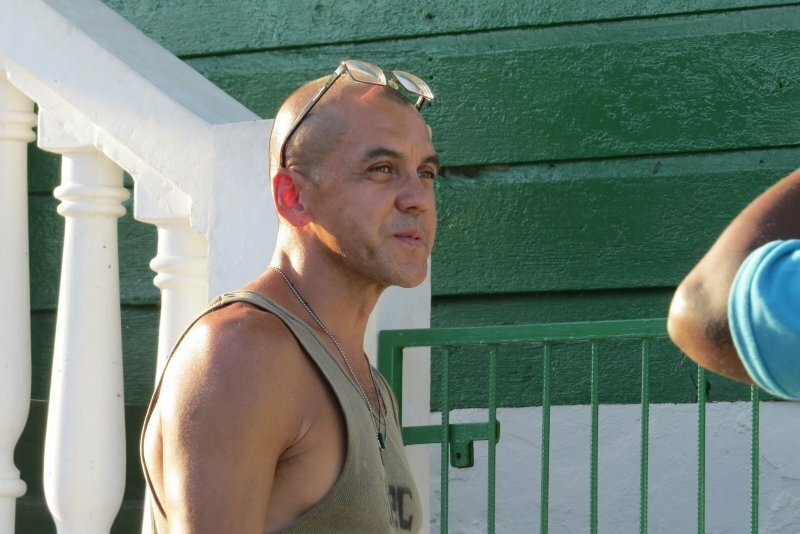 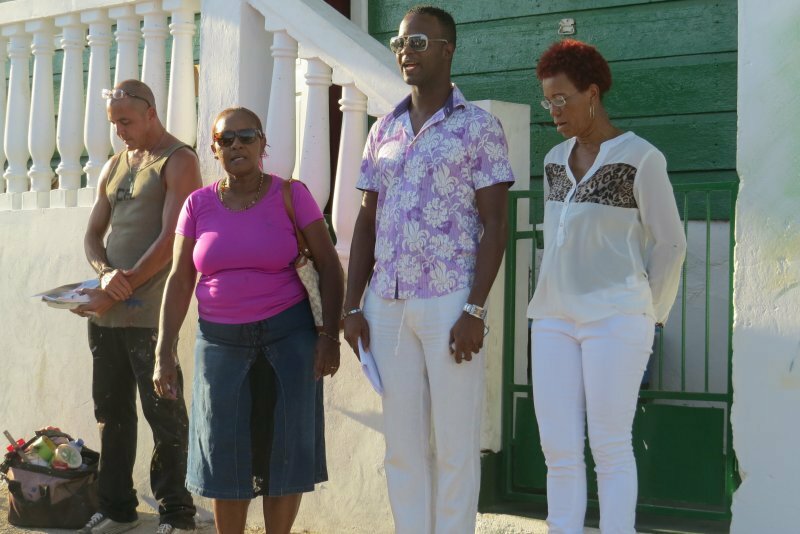 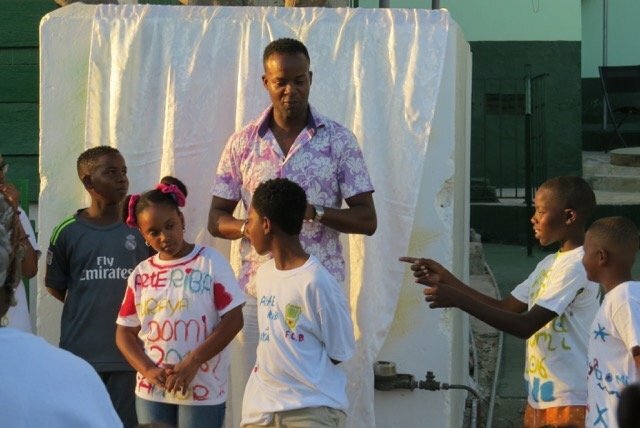 In April 2016 Garrick Marchena was invited by Fundashon Shon Tan to do a workshop with a group of youngsters of Domi Abou in Willemstad. 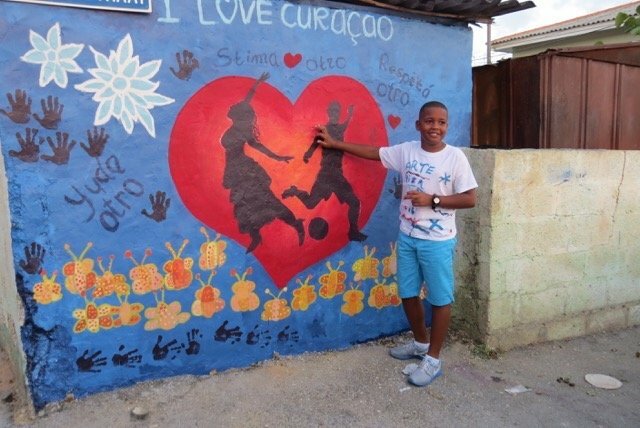 Together they created three murals to enliven their neighborhood. 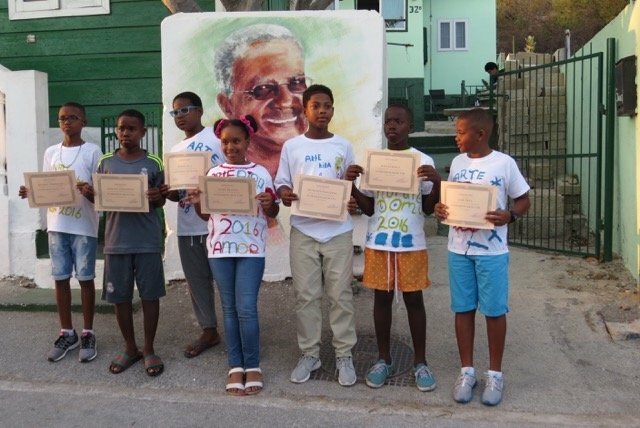 The artist worked with the youngsters for a couple of weeks, 1 to 2 hours daily. 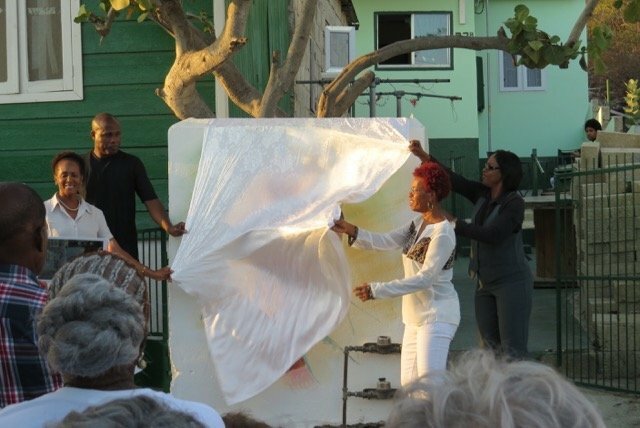 The official presentation took place on April 12th, birthday of Shon Tan. 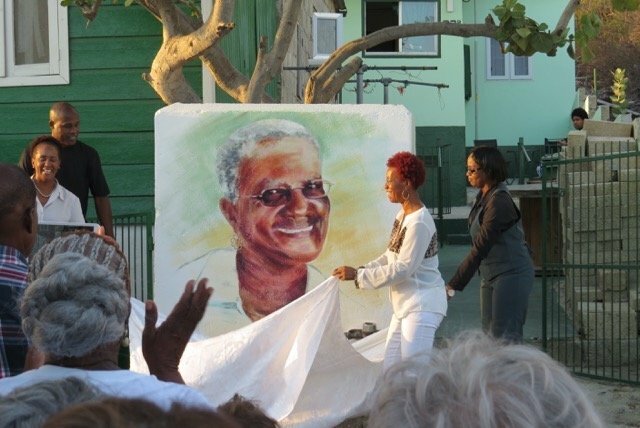 All the people of Otrobanda were invited to accompany Garrick, laying the last hand on his own mural. 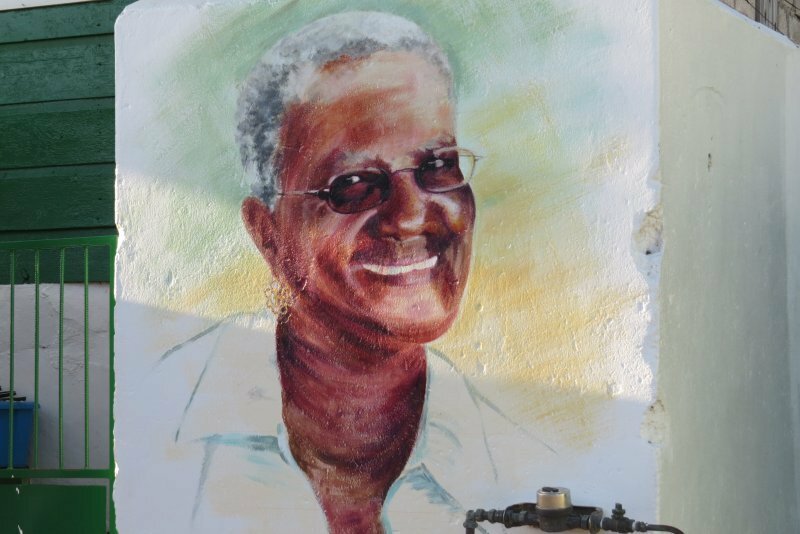 This mural, a portrait of late Shon Tan, was unveiled by her children. 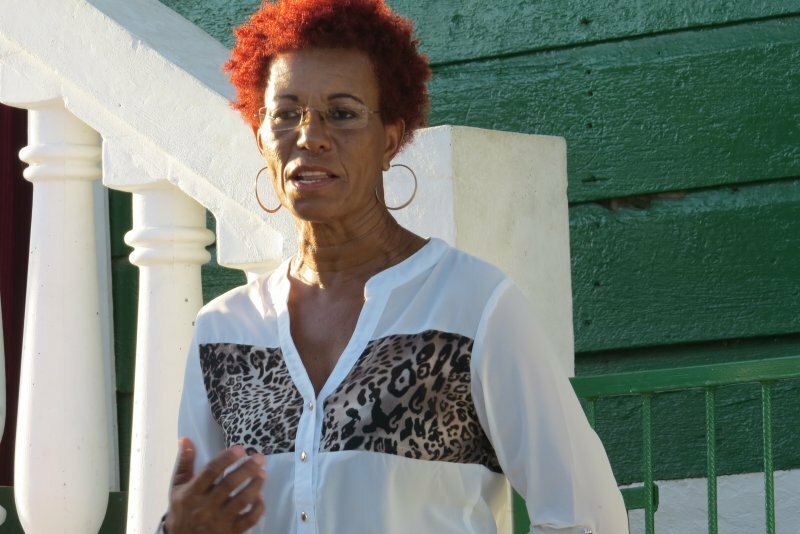 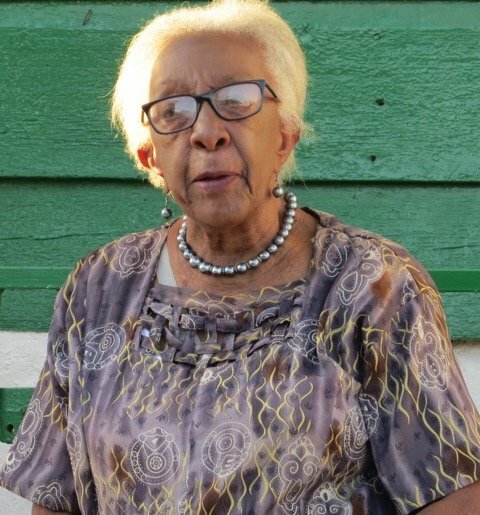 Her daughter talked about the remarkable, central figure in the small community of Domi Abou. 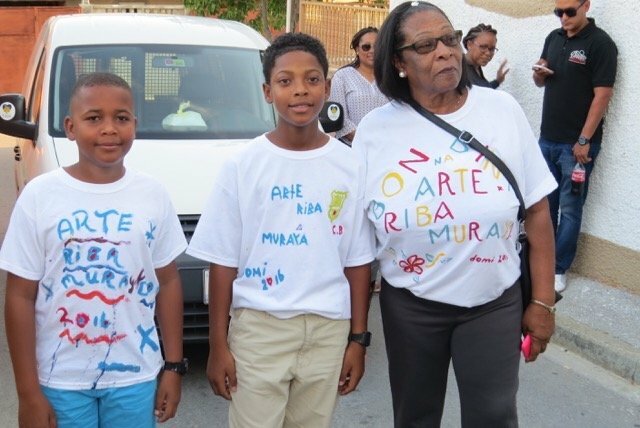 Afterwards the children who had painted with Garrick Marchena guided the guests to their own murals, and gave lively explanations of their drawings. 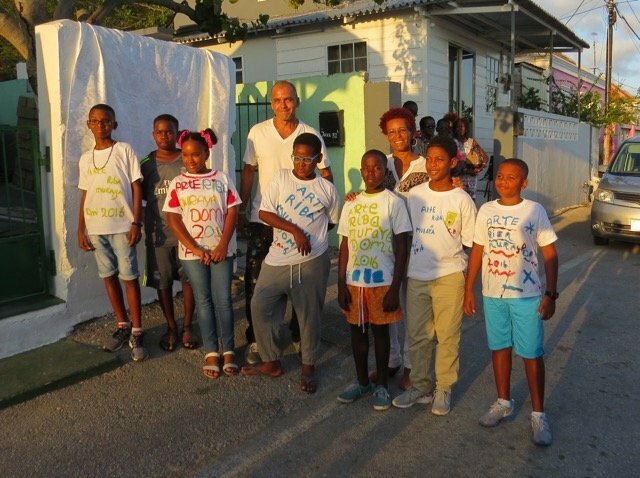 The project was funded by Samenwerkende Fondsen and Fundashon Shon Tan.